Bangladesh is known world over for its booming textile industry, the Sundarban mangrove forests and its scenic natural beauty. 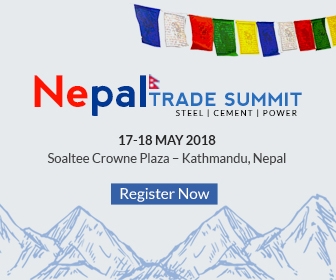 However, over the last decade the Country has began to draw international attention for rapid development in the steel industry and ship recycling sector. The country, within the last decade, has been able to surpass India as the largest ship breaking nation in the world and has subsequently been cementing its place in the world of steel as an emerging market. We travel down to Bangladesh’s industrial hub Chittagong and meet with Steel industry leaders to uncover what the future holds for the rising South Asian steel market. For the cover story titled ‘Unraveling Bangladesh: The New Steel Frontier’ we explore the present steel scenario in the country and future prospects. Our enquiry reveals that despite a temporary saturation in the Bangladesh domestic market the country has great potential for growth. The country’s robust GDP growth which has been over 6% for more than a decade bears indications of strong economic fundamentals. The per capita steel consumption also remains fairly low thus highlighting vast room for growth in the short to medium term. As part of the Bangladesh Odyssey we cover exclusive interviews with biggest players in the Bangladesh steel industry including Al-haj Sufi Mizanur Rahman Chairman of PHP Family—one of the most widely diversified industrial houses in the country and Md.Almas Shimul, Addl MD, GPH Ispat . 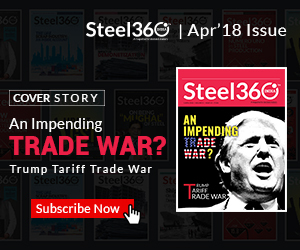 The February issue of Steel-360 covers an interview with Aamier Alihussain, Managing Director BSRM—the largest steel producer in Bangladesh and the world’s largest billet producer through the induction furnace route. Alihussain shared his insights into the Bangladesh’s steel sector, providing a glimpse of future prospects in the country. Speaking about topics ranging from the possibility of a significant spike in scrap imports to the rise in crude steel production over the next couple of years, the story explores a wide range of issues from across the industrial sphere. Furthermore the latest edition sheds light on subjects including the recent rise in steel prices in India, the DRI supply disruptions, insights into the ship recycling industry in India, industry expectations from the Metal Recycling policy and much more. Alongside, the edition also gives due attention to the recent surge in coal prices and sudden spike in railway freight charges. The intervista section of Steel-360 has an exclusive chat with NA Ansari CEO of Steel Business JSPL. Ansari who has been one of the key persons behind JSPL turn around shares his take on the business environment and shares future plans for the company. Steel-360 also analyses exports of steel from China during 2017, an issue that has rocked the global steel industry over the last year. Steel-360’s Steel Innovation section sheds light on a number of recent developments steel production and processing technology. 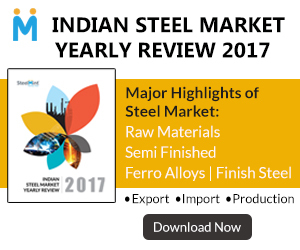 With interesting sections such as market stalker, Stalk Market updates, events calendar, etc Steel-360 has become a one stop destination getting updates of the steel industry, related statistics, news, views and latest happenings of the steel as well as ancillary industries such as iron ore, coal, finished, semi-finished products etc.